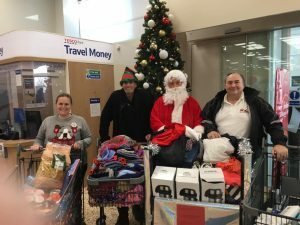 Tesco Shoreham (Holmbush) have been supporting Sussex Homeless Support for the last year. Food is donated instore by their customers and we collect, whenever we get the call. But Tesco Shoreham go way over for SHS. 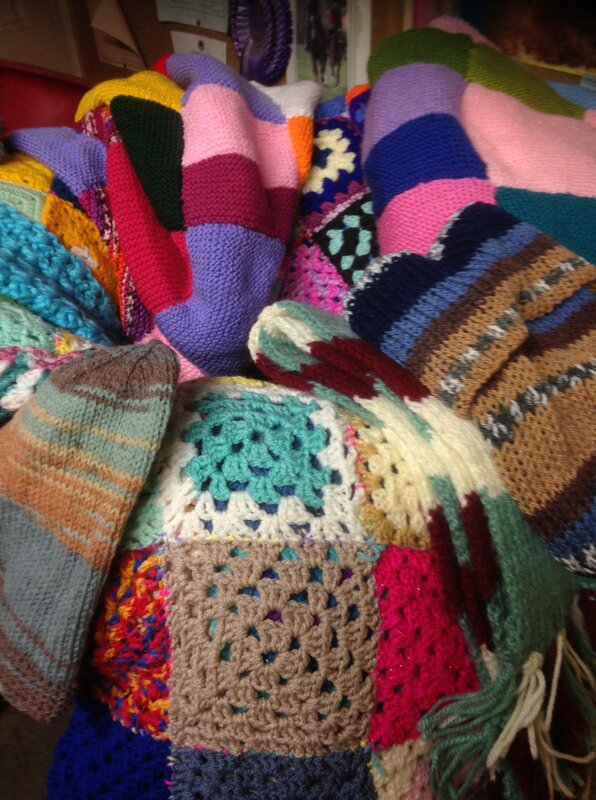 Last year the staff made up Christmas packs full of goodies for our clients. 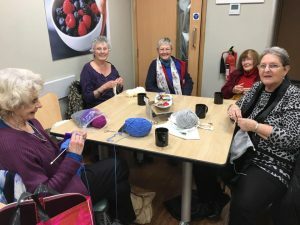 Their knitting group made hats, scarves and gloves which they added to the packs. 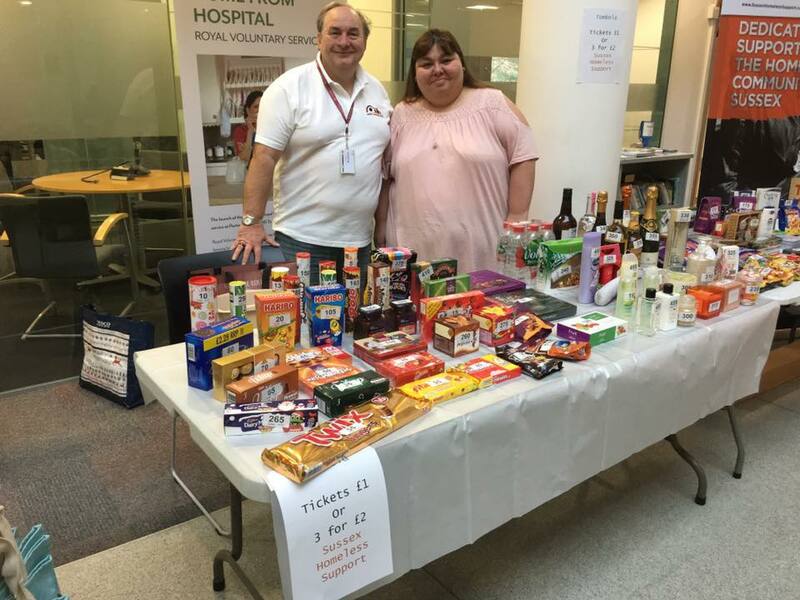 Last year we were their main Christmas appeal – superb donations from their staff and customers totalled nearly 6 trollies full of wonderful things for SHS. With massive thanks to Lisa, manager at Tesco Shoreham and to Claire, our liaison there, (who secretly only gets involved, so she gets to see our mascot, Lottie the dog). From their initial introduction to SHS, a solid bond has been formed and they now regularly support the charity. Claire says: ‘We love the fact that you are a local group, made up of local people who are so passionate about what you do. 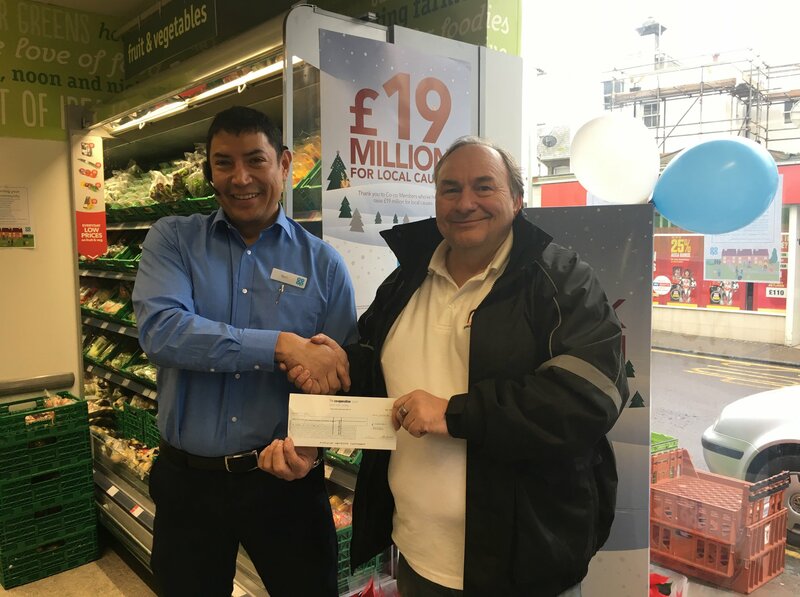 Long may you guys continue your amazing work, fully backed by us at Tesco Shoreham’. 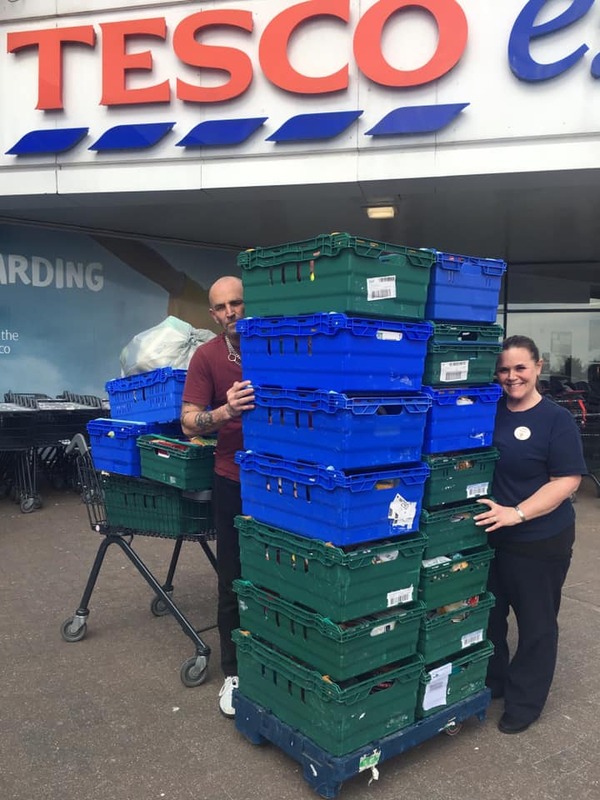 Sussex Homeless Support are so grateful for the support that the staff and customers at Tesco Shoreham give to us. It makes such a difference to what we can do.